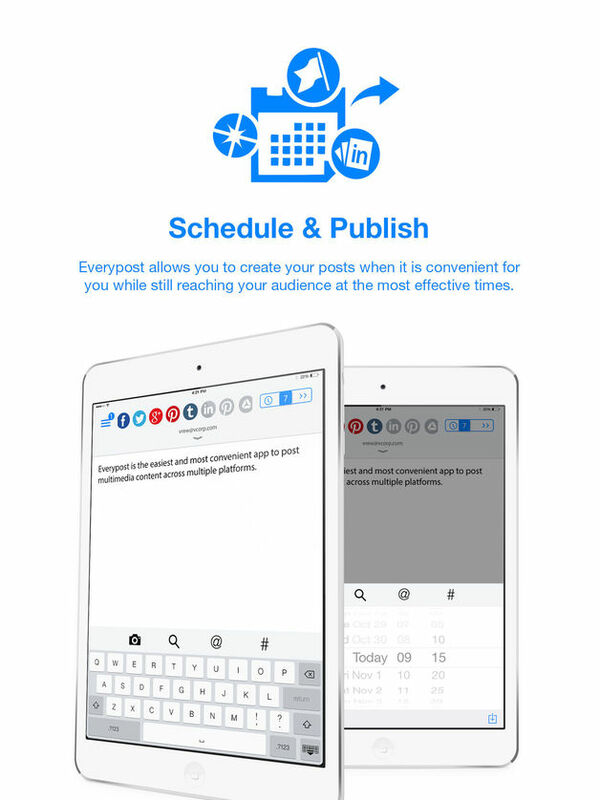 Everypost for IOS is the social media publishing tool most acclaimed by content professionals, social marketers, SMBs and Digital Agencies. 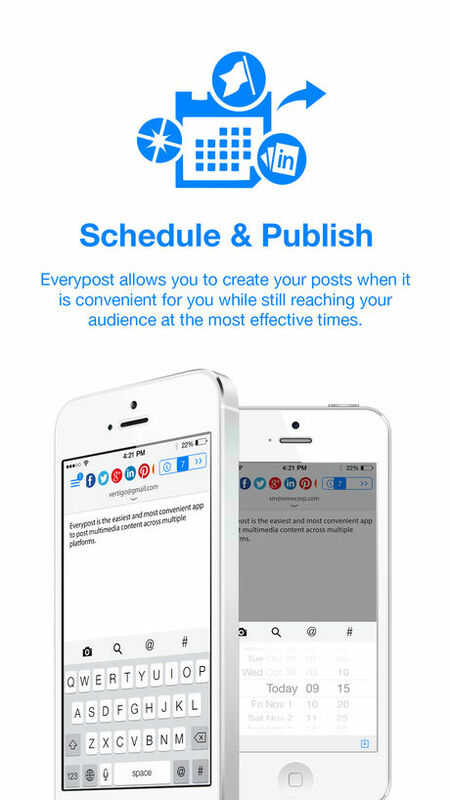 Everypost is the easiest way to create, customize, schedule and post content to Facebook, Twitter, Google+, Flickr, Linkedin, tumblr, and many others social networks. Content professionals and social marketers are using Everypost to publish their content in multiple media platforms, amplifying their reach to more channels and audiences. It doesn’t matter the format of the pictures and videos, or the length of the text, Everypost makes it possible and in an easy way.Everypost provides a unique functionality that allows to post content without having a 140 characters restriction.companies. NEW and UNIQUE: Everypost for IOS compliments your account on the Everypost web platform. 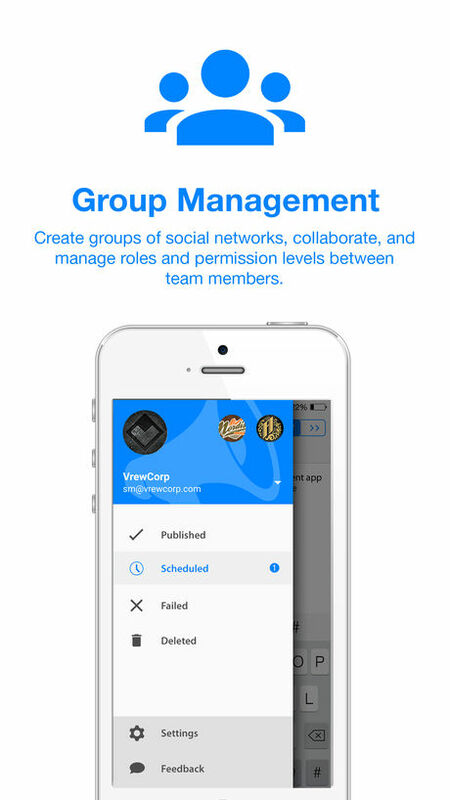 Create groups of social channels, manage user level permissions and leverage these capabilities into your mobile tool. - Send your posts via Email. - You can now subscribe to Everypost PRO using a monthly (U$D9.99/mo) o yearly (U$D99.99/mo) subscription.